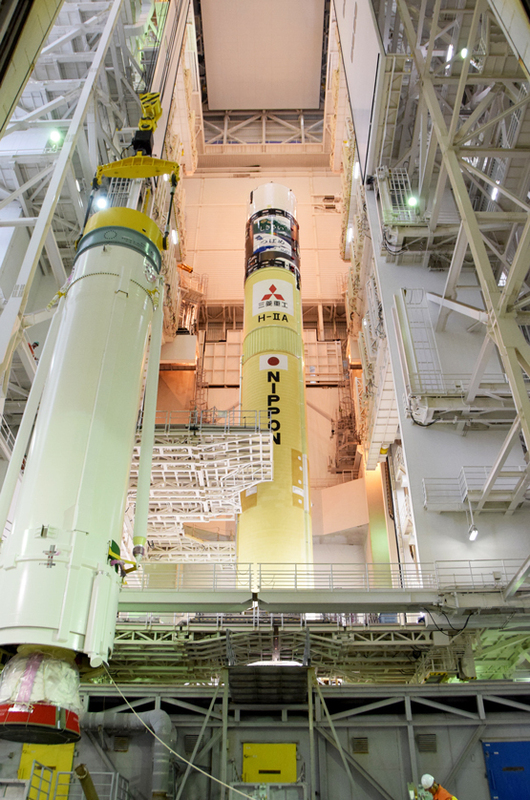 Mitsubishi Heavy Industries, Ltd. and JAXA successfully launched H-IIA Launch Vehicle No. 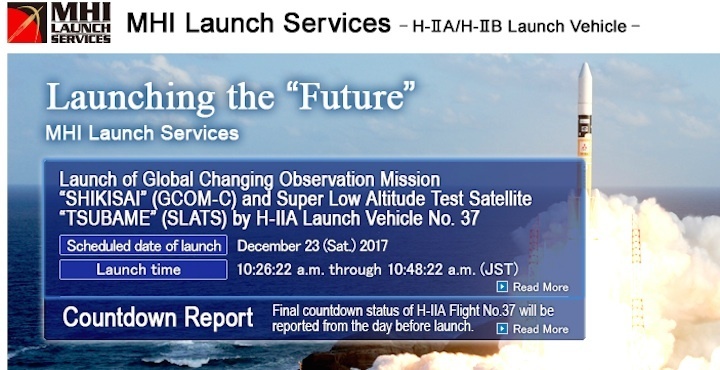 37 (H-IIA F37) (with upgraded function) which encapsulates the Global Changing Observation Mission - Climate "SHIKISAI" (GCOM-C) and the Super Low Altitude Test Satellite "TSUBAME" (SLATS) at 10:26:22, 2017 (JST) from the JAXA Tanegashima Space Center. TANEGASHIMA, KAGOSHIMA PREF. 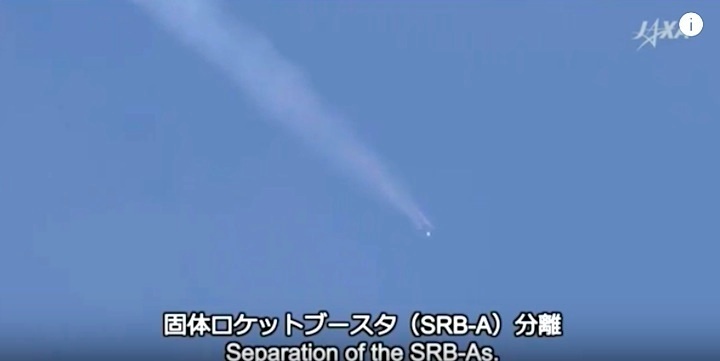 – Japan placed two satellites into separate orbits with a single rocket on Saturday morning, achieving a feat it hopes will lead to cheaper launches in the future. 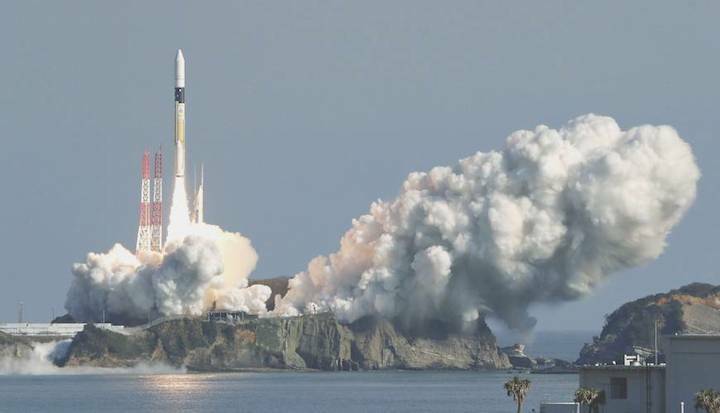 The H-IIA rocket took off from Tanegashima Space Center in Kagoshima Prefecture at 10:26 a.m., carrying a Shikisai climate research satellite and a low-altitude test satellite named Tsubame. The satellites will orbit at altitudes of 800 km and under 300 km, respectively. 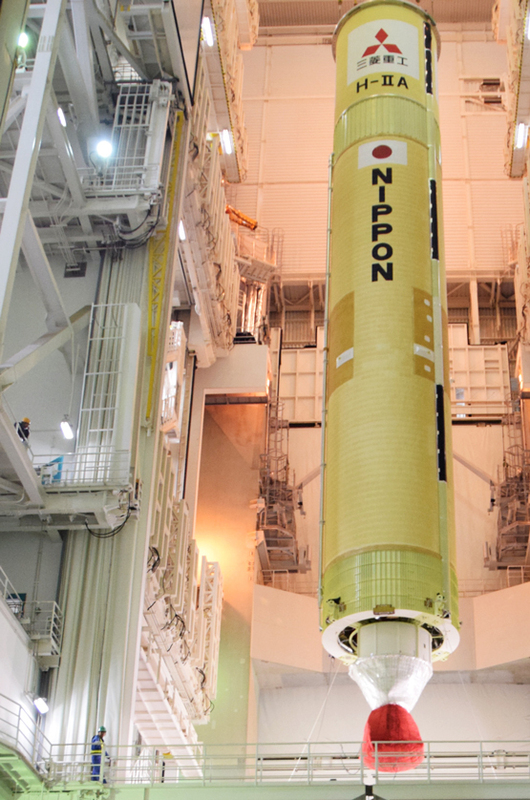 The Japan Aerospace Exploration Agency (JAXA), working in conjunction with Mitsubishi Heavy Industries Ltd., hopes the success will allow it to orbit multiple satellites using one rocket in the future. 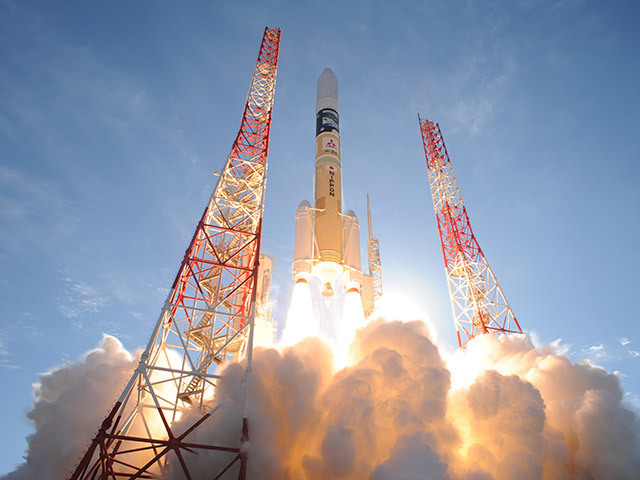 Until now, each JAXA satellite had been launched individually. 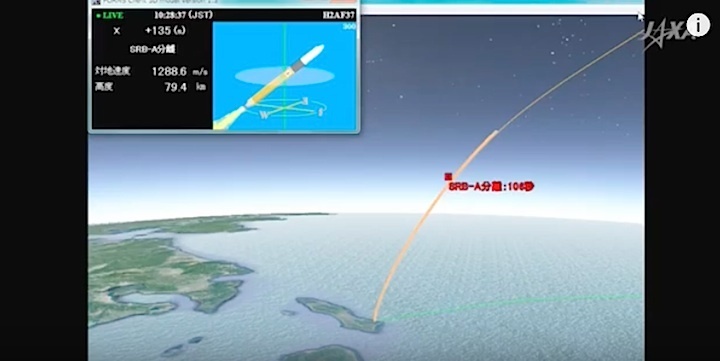 The H-IIA rocket released the Shikisai first before decelerating and dropping to an altitude of around 480 km to release the Tsubame. 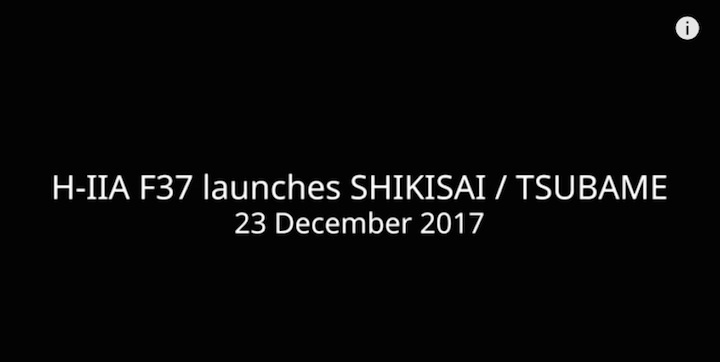 Shikisai will travel on a path that will see it return to the same orbit after a certain period, allowing it to investigate changes in water circulation and the mechanisms involved in climate change over a set period. Tsubame, driven by an ion engine that uses fuel more efficiently than gas jet propulsion, will maneuver into lower orbits of 300 km or below and be assessed for its ability to stably travel at low altitudes. At such altitudes, atmospheric resistance is about 1,000 times greater than that experienced by most observation satellites, which orbit at around 600 km to 800 km above Earth. 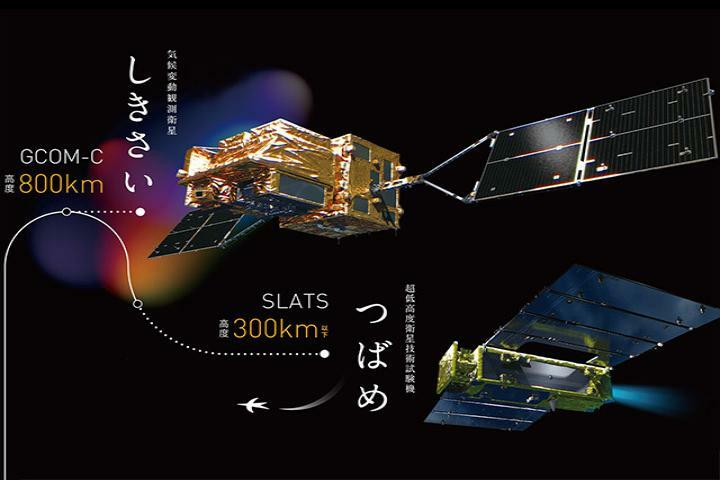 When Tsubame reaches an altitude of 270 km about 15 months later, a test will determine whether it can maintain that altitude using its thrusters, the goal being to have it gradually descend to an altitude of 180 km. 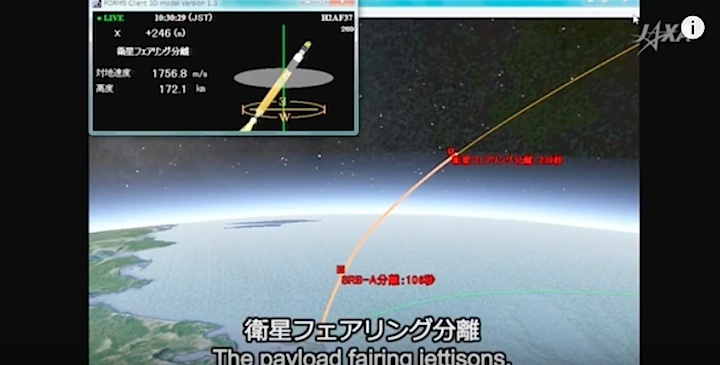 Orbits lower than 300 km remain underdeveloped for satellite use, according to JAXA. 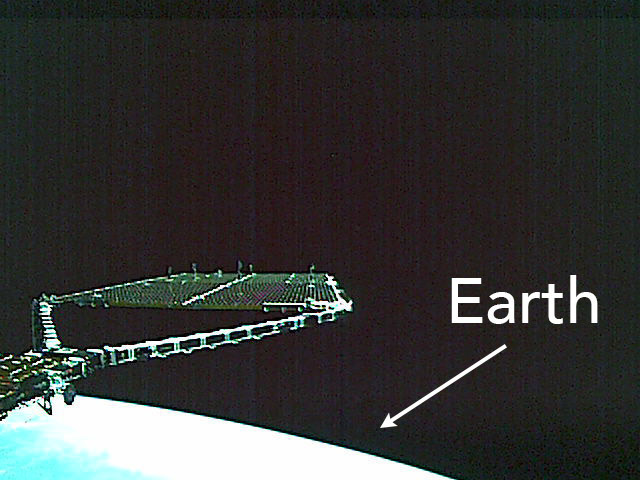 Putting a satellite in a low orbit makes it possible to capture high-resolution images, among other potential functions. 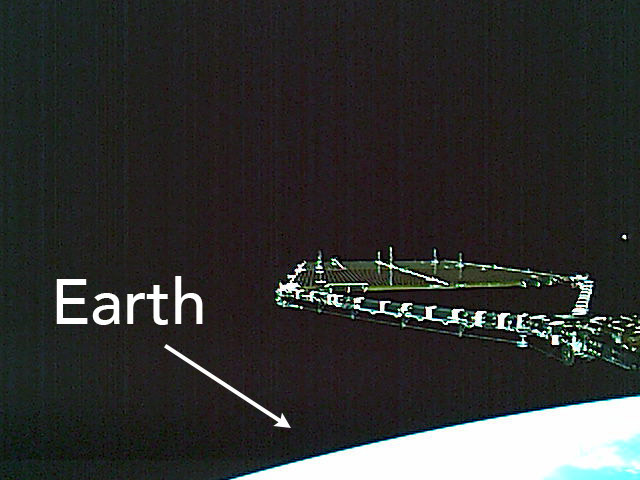 JAXA hopes to put such images to use during and after natural disasters. 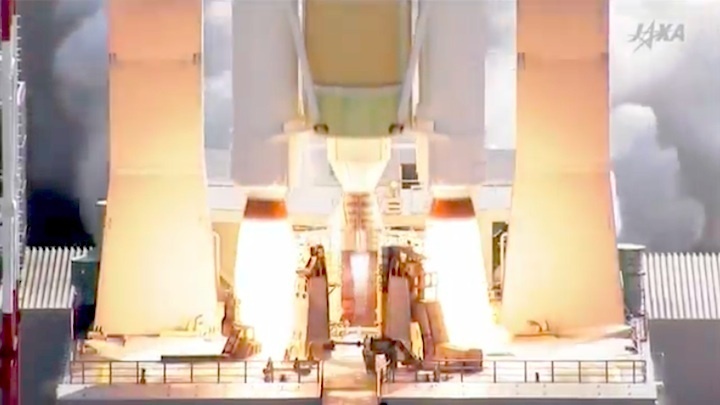 Subsequently, the following procedure occurred – power generation that supports the satellites’ operation by the deployed solar array wings, ground communications and sound attitude control that maintains those operations. Combined by the completion of the series of other operations, such as powering up of the bus and mission equipment, the satellites have entered the state where they can be sustained in orbit. 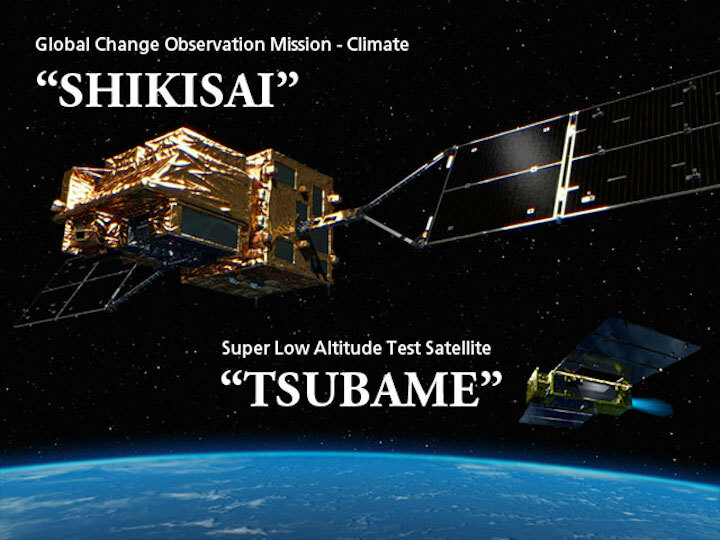 This concludes their critical operations phase*¹.
SHIKISAI and TSUBAME will move on to the next operations phase*², where the functions of the satellites’ onboard apparatus will be examined approximately in the next three-month period. 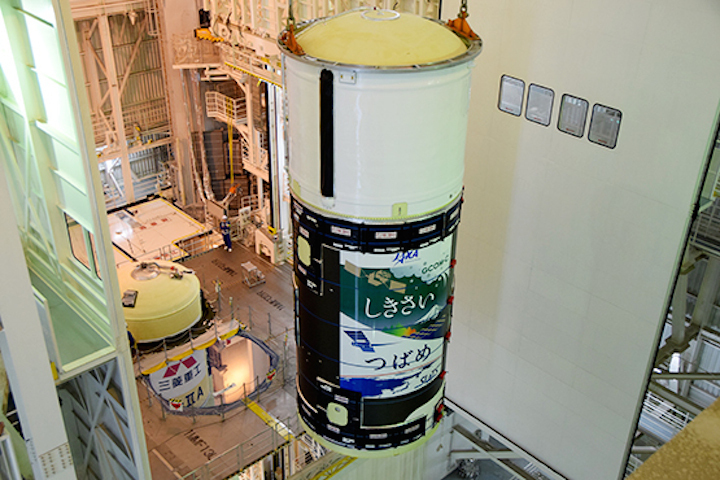 JAXA conveys deep appreciation for the support by all for the satellites’ launch and tracking. *¹ Critical operations phase: the phase that follows satellite’s separation from a launch vehicle, solar array deployment, and powering up of instruments for the satellite’s regular operations. The critical operations phase comes to an end at the start of the satellite’s control mode for nominal operation. 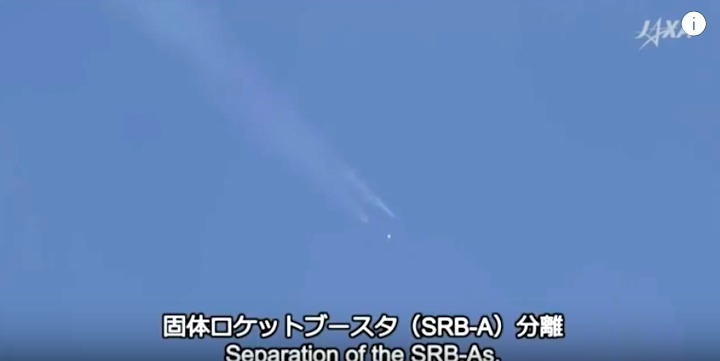 *² Next operations phase: during this phase, the entire satellite, its observation/mission sensors and other onboard equipment are scrutinized. 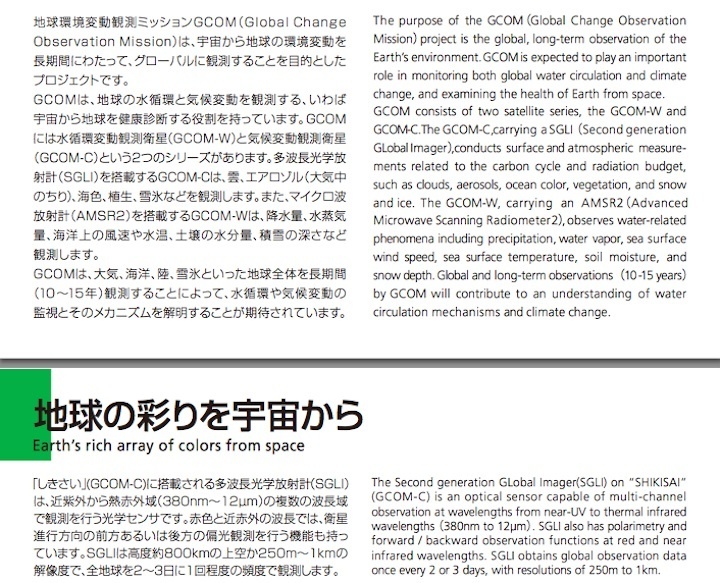 The purpose of the GCOM (Global Change Observation Mission) project is the global, long-term observation of Earth's environment. 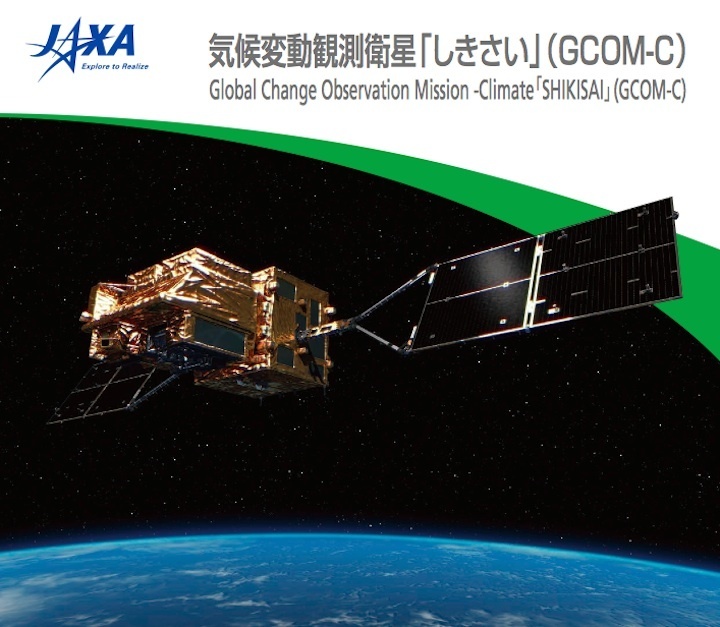 GCOM is expected to play an important role in monitoring both global water circulation and climate change, and examining the health of Earth from space. Global and long-term observations (10-15 years) by GCOM will contribute to an understanding of water circulation mechanisms and climate change. 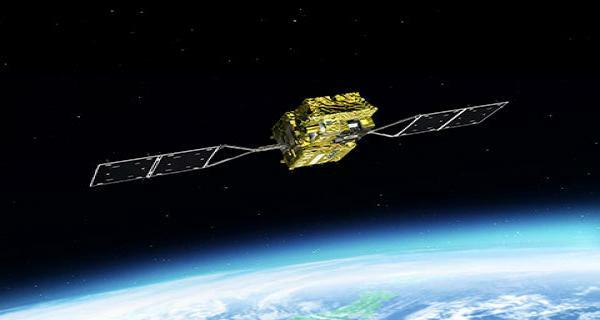 GCOM consists of two satellite series, the GCOM-W and GCOM-C. The GCOM-C, carrying a SGLI (Second generation GLobal Imager), conducts surface and atmospheric measurements related to the carbon cycle and radiation budget, such as clouds, aerosols, ocean color, vegetation, and snow and ice. The Second generation GLobal Imager (SGLI) on GCOM-C1 is an optical sensor capable of multi-channel observation at wavelengths from near-UV to thermal infrared wavelengths (380nm to 12µm.) SGLI also has polarimetry and forward / backward observation functions at red and near infrared wavelengths. SGLI obtains global observation data once every 2 or 3 days, with resolutions of 250m to 1km. 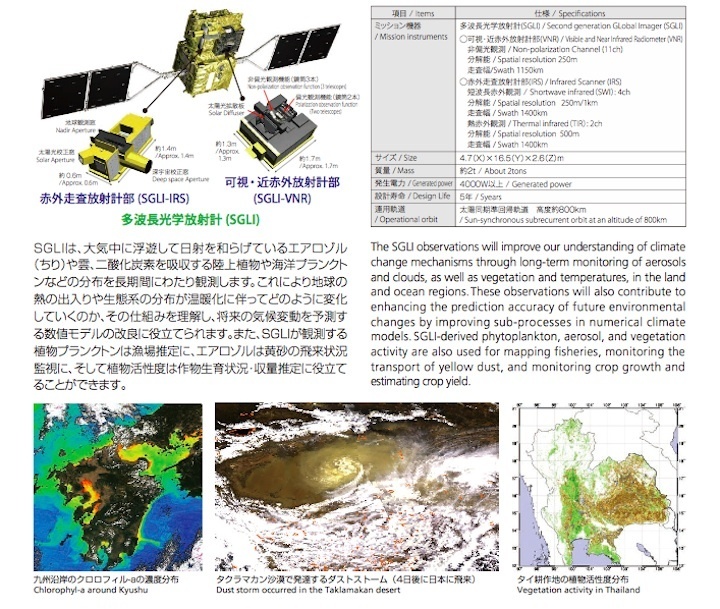 The SGLI observations will improve our understanding of climate change mechanisms through long-term monitoring of aerosols and clouds, as well as vegetation and temperatures, in the land and ocean regions. These observations will also contribute to enhancing the prediction accuracy of future environmental changes by improving sub-processes in numerical climate models. SGLI-derived phytoplankton and aerosol distributions are also used for mapping fisheries and for monitoring the transport of yellow dust and/or wildfire smoke.